Through the work of its innovationOchsner team, the Louisiana system developed EHR-connected tools to treat diabetes and hypertension. Ochsner Health System has won a 2018 HIMSS Davies Enterprise Award, honored for the accomplishments of its innovationOchsner group, or iO, and its broader efforts to improve patient safety and population health. The workgroup within Ochsner, the large academic medical center based near New Orleans, has developed several specialized digital technologies that integrate with its electronic health record to improve its approach to treating high blood pressure and diabetes and monitoring maternity patients. 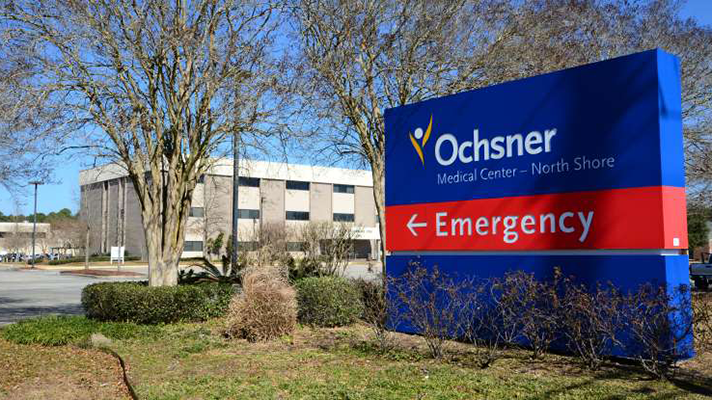 Ochsner has also innovated its use of the EHR to combat the opioid epidemic and boosted its population health management efforts by finding and closing gaps in care. The 30-hospital health system has been a longtime leader in tech-enabled innovation. Whether it's deploying artificial intelligence from Epic and Microsoft to help spot and prevent potential adverse events, or pioneering precision medicine techniques, Ochsner is at the forefront of new advances in quality and safety. "Ochsner’s unique application of integrating digital medicine and remote home monitoring into patient care has generated significant improvements in population health while improving patient satisfaction," said Jonathan French, senior director of quality and value-based care at HIMSS, in a statement. French pointed to the health system's use of predictive analytics to spot patients at high risk of opioid addiction and connect them with alternative pain management models as just one area where it's driving innovation in care delivery. Another area of marked improvement is pop health: Ochsner's team advanced its value-based care initiative by focusing intently on care coordination and chronic disease management, resolving nearly 50,000 gaps in care. The health system's iO team was also cited by HIMSS for a trio of innovative data capture tools it created to help improve its approach to managing chronic conditions and delivering obstetrical care. "Risk models were constructed to assist in providing guideline-based care driven by data captured through digital links to patients," HIMSS explains. "Dashboards highlighting key data and risk elements were created for pharmacists and health coaches to augment care interventions, including guideline-driven medication treatment, as well as lifestyle and behavioral changes." Patients get monthly report on their progress through their online portal, and can see changes in their risk profile and get tips on self-care. Ochsner providers, meanwhile, can see progress summaries for any patient enrolled in the program. Earlier this year, Richard Milani, MD, Ochsner's chief clinical transformation officer and medical director of iO, spoke to Healthcare IT News about the huge value of patient generated data – as long as its properly curated in a way that's useful for clinicians. "It's incumbent upon us to design algorithms to be able to curate the information to be able to make responses without it all being on the human," said Milani. "That's what information services should be doing: saying, 'OK, there's a ton of data coming in, we're going to figure out, before it even gets to the doctor, that these are the three data points you need to look at, and don't even worry about this other 450.'" "We're collecting all of that stuff. From home, and everything else on a regular basis. It's not a problem. Storing the information, curating the information, doing stuff with it, is not that hard. But if all we're going to do on the IS side is say, 'OK, here's your connection,' just telling the doctor to sift through this pile of sand to find the one particle you need, that's not very fair." The results of iO's initiatives have been promising for Ochsner. Its Hypertension Digital Medicine application has helped control blood pressure in 71 percent of previously uncontrolled patients within just 90. Its Connected MOM app has helped effect a 30 percent reduction in the number of in-person routine obstetrical visits. And its Diabetes Digital Medicine tool helped achieve a 1 percent drop in in hemoglobin A1c levels in enrolled patients while also enabling improved adherence with eye exams and screenings. "With the explosion of digital applications and an increasing value in health information technology, it is critical that traditional health systems become more innovative in how and where care is delivered while still creating a connection with their patients," said Warner Thomas, President and CEO, Ochsner Health System. "We are proud of the work our physicians and staff accomplish on a daily basis so that we can fulfill our mission to change and save lives of our patients."